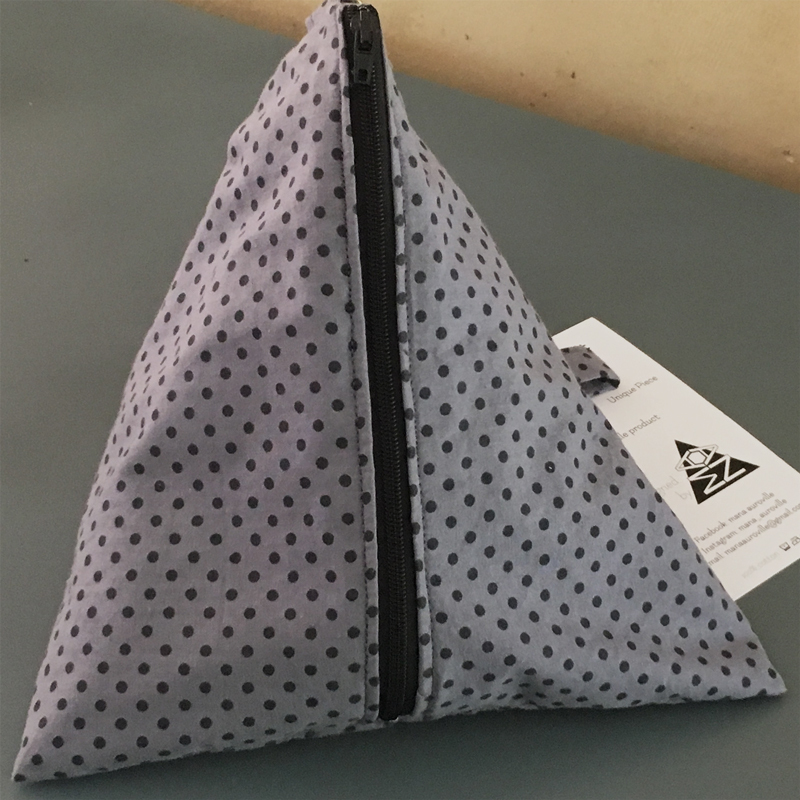 A triangle pouch with a zipper, a fun way to carry your essentials. 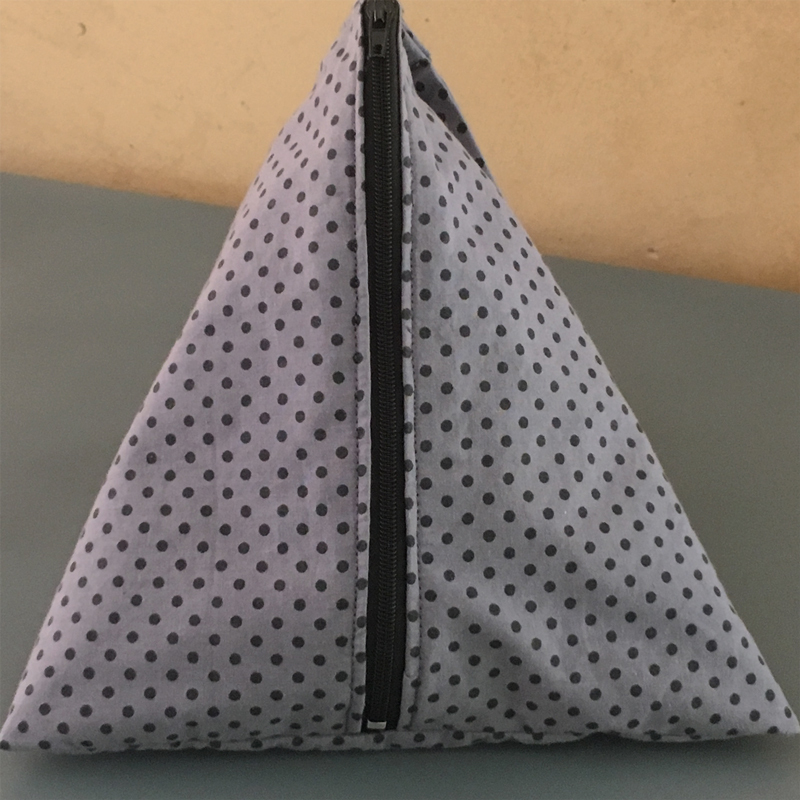 This pouch has a cotton lining matching harmoniously the outside fabric of the pouch. 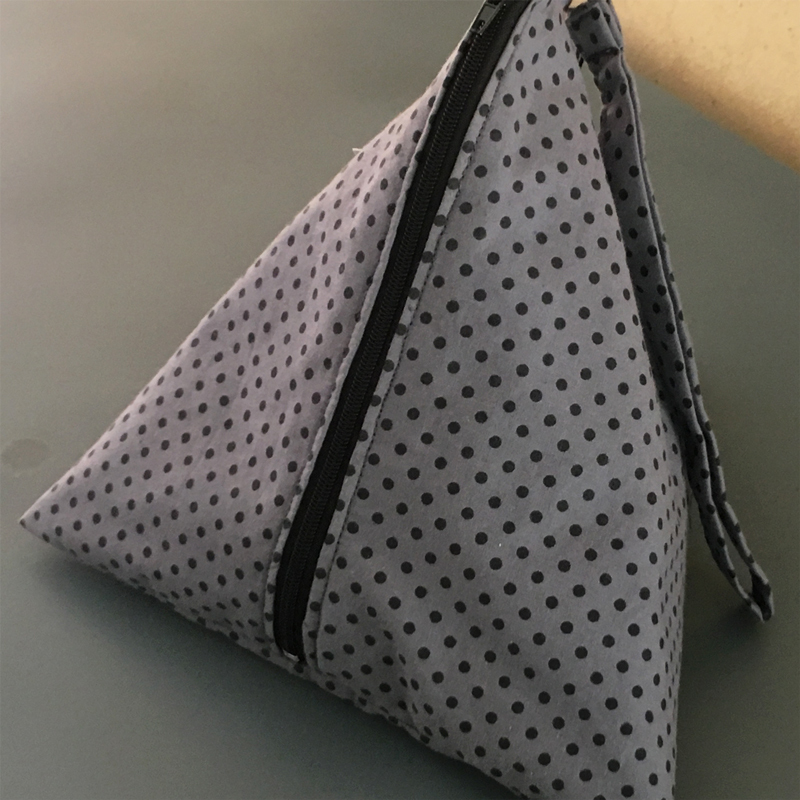 This Berlingot pouch is a unique and handmade piece.